Our Model RBI makes moving parcels, crates, packages, and other material between floors a breeze. It is equipped with an adjustable double nose-over at the discharge end to ensure a smooth transfer from the inclined plane to the horizontal plane. This conveyor is sometimes used as a booster in a gravity conveyor system. 8″ diameter with 1-7/16″ diameter shaft at bearings, machine crowned and fully lagged. 4″ diameter with 1″ diameter shaft at bearings or 6″ diameter with 1-3/16″ diameter shaft at bearings, machine crowned. 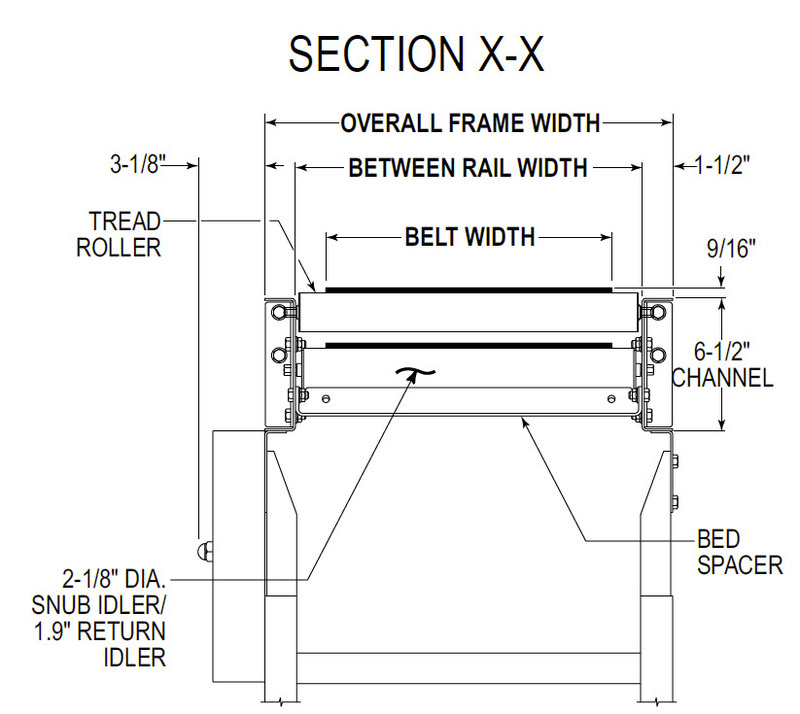 Roller bed with 1.9″ diameter x 16 ga. galvanized tube rollers spaced every 6″. Mounted in 6-1/2″ x 12 ga. powder-coated formed-steel channel frames. 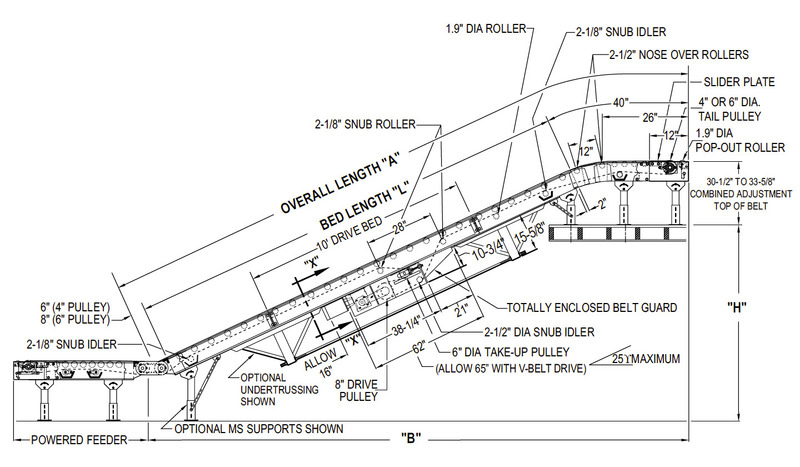 Standard 4′, 6′, 8′, and 10′ long bed sections bolt together with splice plates. Located on the incline section. The chain guard is located on the left-hand side. Take-ups in the center-drive provide 16″ of belt take-up. Adjustable 2-1/8″ diameter roller. Pre-lubricated ball bearings, guards included.